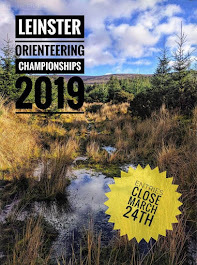 Curragh Naas Orienteering Club: Leinster League Curragh East. We are a go for 11am tomorrow morning. Colm (Course Planner) and his band of helpers are out placing the controls. The main roads are clear and some light snow on the side roads. The curragh itself has some snow in places and is a bit sloppy where it has thawed. At the moment visibility is down to approx 100 metres due to heavy fog will it lift ?? it adds to the challange. Good luck to everyone takimg part.